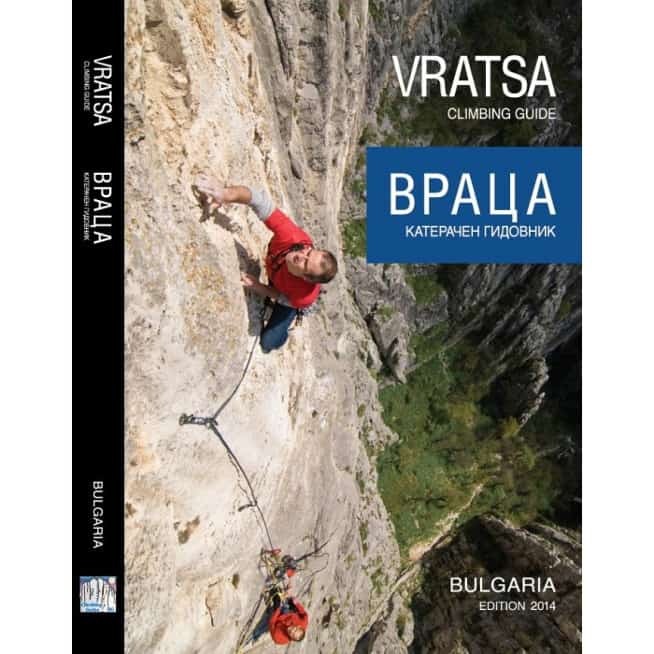 The impressive rocks of Vratsa are the biggest and most popular rock climbing site in Bulgaria – both for sport and trad climbing. Located in the northwestern part of the country, in the Western Balkan Mountains, next to the town of Vratsa and about 2h drive from the capital Sofia. The Vratsa region is an attractive tourist destination for the outdoor fans, yet undiscovered. There are great terrains for hiking, mountain biking, caving and climbing – definitely the last one is the most important and developed activity in the area. 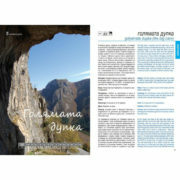 The guide book is bilingual – in Bulgarian and English. 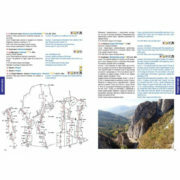 This is the first of its sort guidebook on the climbing area that describes the routes in details. It includes descriptions of all the climbing routes, which count above 500. Half of them are equipped for sport climbing and the rest are trad, alpine or mixed routes, only partially equipped. Length varies from short one-pitch sport and trad routes, through several pitches, to the longest ones, of 10 to 13 pitches. The latter go up the majestic 350-metre high Central Wall. For each sector, routes are traced out on photographs; bolted belays are marked with white-filled circles, and belay points equipped with pitons or needing temporary protection (nuts, cams) with black-filled ones. 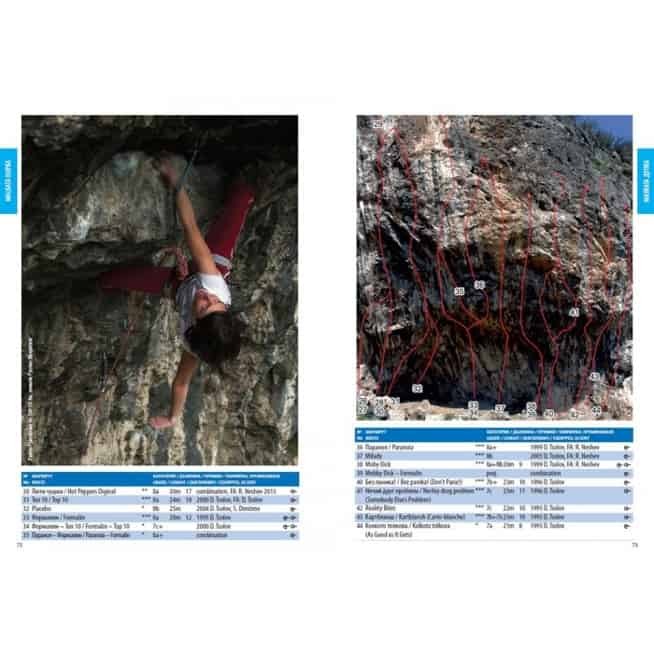 Information about sport-climbing routes includes grade, length, number of quickdraws needed, year when they were equipped and by whom – but that’s all, so we won’t spoil your on-sight! For trad/alpine routes, you will also find short pitch-by-pitch descriptions and topos. The first ascent date and authors’ names are given as well. Other important dates and events can be included, as well as information about subsequent re-equipment if such has been made. Edition 2014, 320 pages, format 148×210 (A5).